For the sixth consecutive year Wiv Entertainment presents the Night of the Prog, one of the most spectacular prog events of the year. 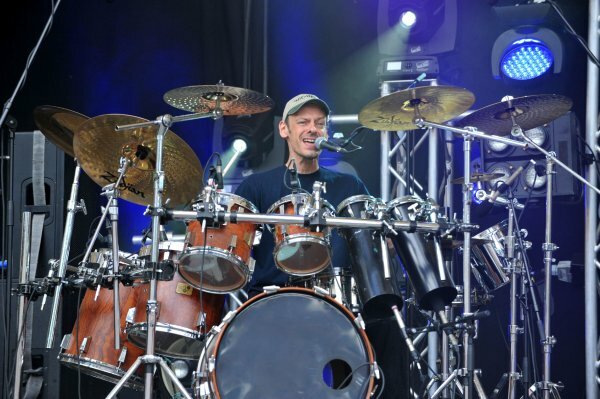 The line up this year consisted of mostly Progressive Metal bands with the Headliner of the festival being no other than Dream Theater of course with Mike Mangini behind the drumkit replacing the departed Mike Portnoy. The festival takes place of what must be one of the most beautiful venues to hold concerts at, The �Freilicht B�hne am Loreley� near the small village of St. Goarshausen. Not only the is it a smashing stage, but the complete site itself, you have a great view of the artists from all areas, from way in the back to the front, from the left side to the right, really fantastic. Night of the Prog is a confusing name for a festival that is taking place over 2 days, presenting 11 bands. This year's line up festival we have Martigan to kick off followed by Dutch youngsters Sky Architect. 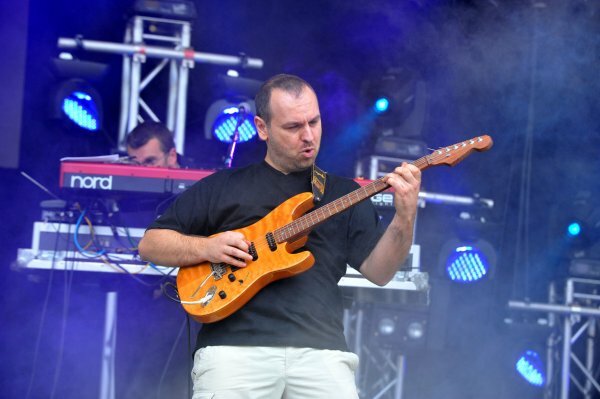 Next up is Threshold, with Damian Wilson once again followed by Poland's Riverside and as the closing day are Eloy - back on stage for the first time in 13 years. Opening the second day another newcomer to the prog scene in Haken, to be followed by Vandenplas stepping in for Moon Safari who had to cancel. 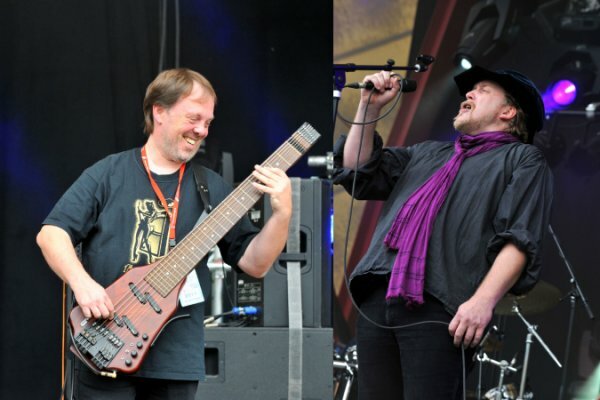 RPWL, IQ, headliners Dream Theater and closing the festival, Anathema. Looks to me all attendees were in for a smashing good time. The weather god was with us providing two sunny days. The crowd was in a good mood, Food and beverages present. All ingredients in place to make a grand feast. My initial thought when arriving was "why the hell didn't I do this before?" Really it's a beautiful place. The drive along the Rhine to get there is lovely, maybe even a little dangerous as I was forever distracted by the road by some wonderful sight - boats on the river, castles on the side of the valley, pretty little villages. The venue itself is just exceptional being a natural amphitheatre with loads of seating (albeit on hard stone walls) for all. There are ample bars and places to buy food along with merchandise vendors mostly at the top back of the seating, where there's also a nice grassy area which is great for relaxing and to allow for families with kids to also take-in the event. One criticism I would have of the catering is that there appeared to be very little choice - it was basically frites and sausages/burgers, which is OK up to a point, but I would have liked the option of something a little healthier. Also in the drinks department there was no bottled water on sale, you had to buy in 33cl glasses from the beer tent for pretty much the same price as the booze - now that's extortionate! OK, I came prepared with some food and water, but it was a bit of a trek back to the car each time to refresh. I had the honour of being DPRP's official photographer for the event - basically that gives access into the area in front of the stage barriers. Most of the time this wasn't even necessary as there were good vantage points to be had from many areas of the amphitheatre - the exception was Dream Theater when the place was absolutely packed, everyone decided to stand up and we (the photographers) were excluded from the pit. So for Dream Theater the photos aren't as good as they might have been. This year they decided to place a load of bass bins along the front of the stage and these were constantly blasting us all the way through, it was quite a physical challenge at times and I congratulated myself on several occasions for remembering to bring my earplugs! This was my second criticism of the event; the general volume levels were just way too loud. Even when you stood at the limits of the venue you couldn't talk without shouting. Even worse, the sound man insisted on playing the music between the acts at the same volume. At one time he turned it down, the crowd rose, cheered and applauded madly - he must have been blind as well as deaf, or perhaps just a bit thick, because he put the volume back up, everyone booed, but it stayed there. I took 2500+ photos over the course of 18 hours - I cannot tell you just how painful my shooting hand was after that! So some small negatives along the way, but an overwhelmingly big thumbs-up to a brilliant event. It was in fact my first festival and I plan on it being my second next year. I can only highly recommend that all prog fans try to make this at least once. DPRP had six members present on the Saturday: Gert, Joris, Dries, Bart, Menno and myself, and the event must have been close to, if not fully, sold-out on the Saturday evening. And as a final pre-amble, it's a great place for the public to meet the artists. Many of them went into the crowd after their sets (quite literally in Damian Wilson's case), and most of the rest went to the gates at the side of the stage to meet and greet fans both before and after their shows; a tremendously relaxed and fun atmosphere. As said first band to play Martigan. German band Martigan (Official website/Myspace) are around for awhile yet they are not that well known in progressive circles as they perhaps be should be. It is always tough to play as first band at a festival, not everybody who visits the festival will have arrived yet. Starting the show as scheduled Martigan showed straight away that they are a bunch of great musicians. Playing songs from their last two albums Vision and Man of the Moment. I had never seen Martigan play live before and was really interested to see if they could bring the sound on their album onto Stage. I must say I was pleasantly surprised by the joy and play at which Martigan performed the show, knowing that when playing a festival you cannot play all you want and only have limited time. In this limited time they managed to get the people going, the atmosphere was great after their show and could only mean we were going to enjoy a fantastic festival. The Neoprog of Martigan was well received by the crowd who wished to hear and see more even after the first band. I'm afraid I missed their set as I was delayed in traffic.